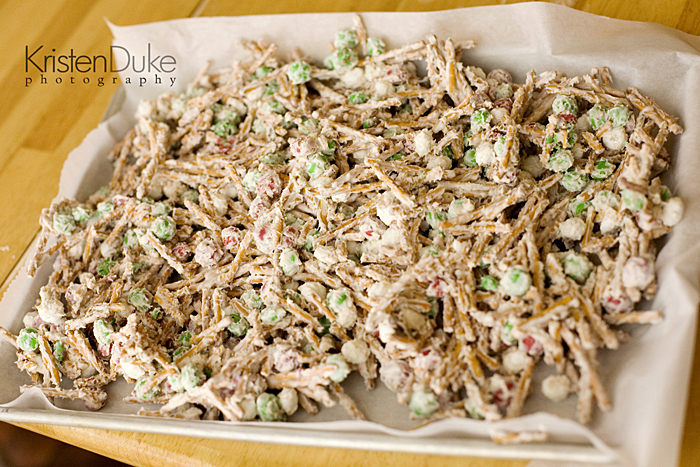 Christmas crunch is a festive mix of pretzels, mint M&M’s, and white chocolate almond bark. 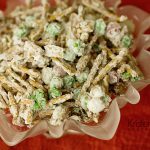 This holiday snack mix is perfect for a party or a great gift to give to neighbors. 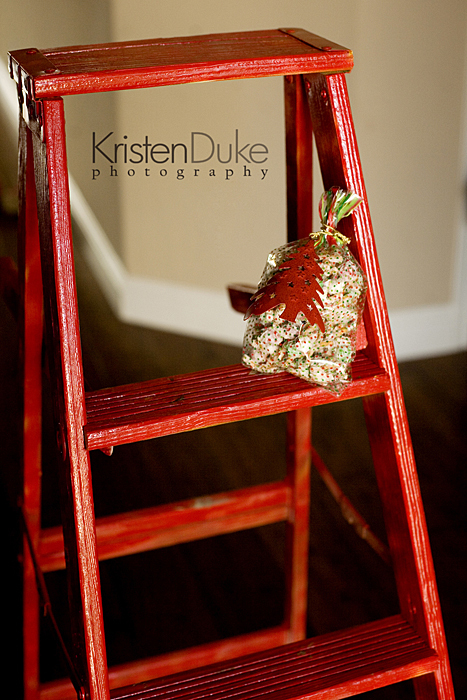 Christmas Crunch is my FAVORITE treat to gift friends around the holidays. 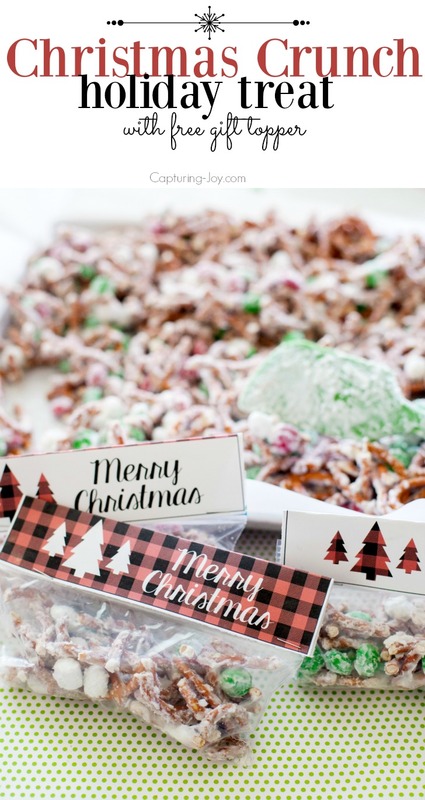 You whip up a few batches of the snack mix, slip it into a bag, and add a fun little Christmas treat topper and you are all set. My friends tell me they look forward to this treat each year and a few of them have started making it themselves! Here is a quick little video to show you how easy it is to assemble this recipe, and make a treat! 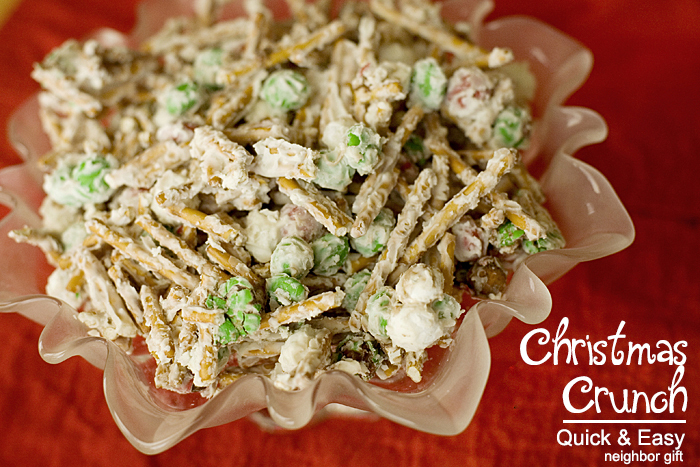 This Christmas, make a batch of Christmas crunch to enjoy with your family. This recipe makes a batch big enough to gift 20 snack bags this size, so you can enjoy some and still share it with your neighbors. There are only 3 simple ingredients and it will be ready in under 20 minutes! 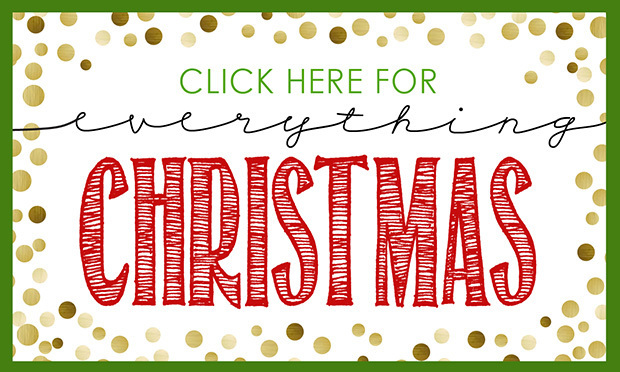 Place parchment paper on a cookie sheet before you prepare the other items. Melt the white chocolate at your preferred method (I use a glass bowl in the microwave for 1.5-2 minutes, stirring in the middle). As it melts, mix the m&m’s and pretzels in another bowl. Once the chocolate is all melted nicely, pour it into the mix. Stir. Spread mix unto parchment paper to cool. Allow to set for 20 minutes. To speed up the hardening process, you can place it in the freezer. Once cooled, break it up and serve. Put it in a dish to share with guests or bag them up to deliver to friends and teachers. We get rave reviews every time!